Since 1994, our Aboriginal Landcare Education Program (ALEP) has played an integral role in empowering local communities across Northern Australia by increasing employment opportunities and healthy lifestyle options for young Aboriginal people. Our nationally accredited ALEP training program combines classroom-based learning and practical projects to help students develop skills and gain work experience in conservation, nursery and landscaping-related industries. ALEP has engaged almost 500 Aboriginal people and remote communities throughout the Pilbara and Darwin, enhancing environmental skills and improving employment opportunities. In the Northern Territory, young people who were previously disengaged from the community, often with low numeracy and literacy skills, have flourished in ALEP’s team environment. 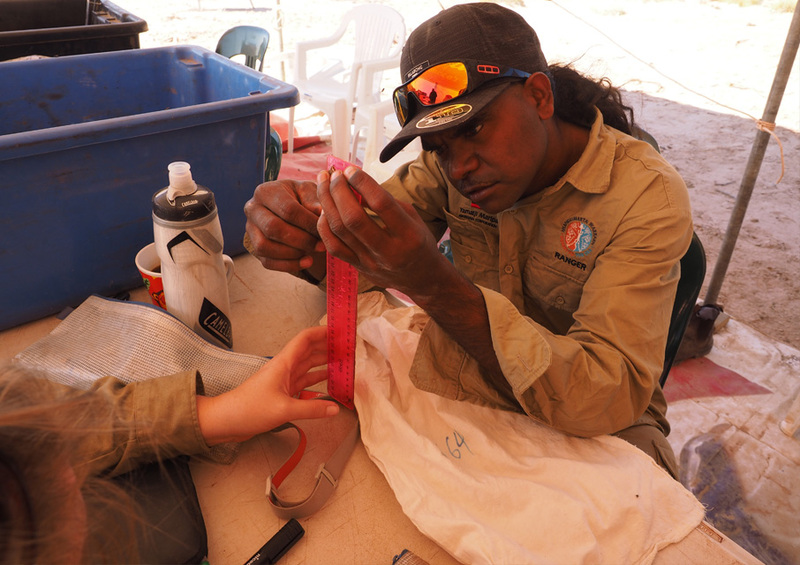 In the Pilbara, ALEP has enabled local Aboriginal people to engage directly in on-ground conservation activities, enhance their skills and raise their environmental awareness. This has included training of over 110 Aboriginal participants from seven different Indigenous groups in units relevant to ranger activities undertaken on country. Working with families in remote NT and WA communities to create healthier living environments in their yards for improved environmental amenity and health. Improving amenity in community areas such as public parks and gardens, including assisting locals with the Daguragu Hand Over Park in the NT for the 40 Years of Freedom Day Festival. Landscaping and site enhancements of safe places with the NT Emergency Response Supporting Families program, working with 13 Northern Territory communities. Engaging young Aboriginal people in the NT in community-based projects with the help of Grinwan Geing (working mainly with young adults) and Lilwan Geing (working with children), as part of ALEP Green Cadets. Supporting seed collection activities for the Women’s Ranger Group at Parngurr, and providing commercial opportunities for sale to Nindethana Seed Company. 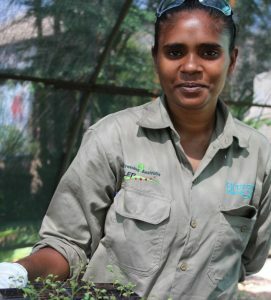 Complementing the traditional skills of the Ngurrawaana rangers and enabling them to conserve biodiversity by providing recognised training focused on monitoring and managing rivers on the Leramugadu Lease within the Fortescue Catchment. 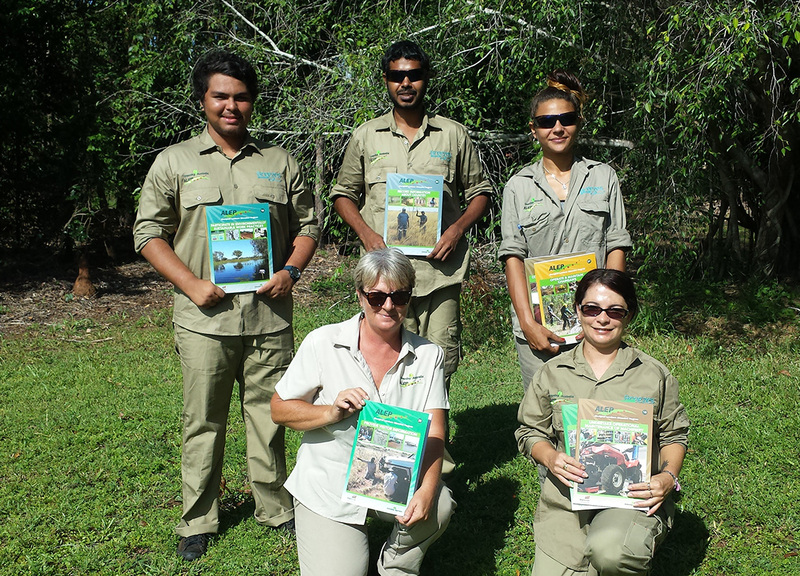 Collaborating with Department of Parks and Wildlife and the Nyangumarta Rangers to undertake fauna surveys at a Ramsar listed Wetland at Eighty Mile Beach, providing hands-on experience to complement their Conservation and Land Management studies. Our series of 30 ALEP Learning Guides sit at the forefront of our training manuals and are used by training organisations, schools and communities across Australia and in rural and remote communities internationally. The units of competency covered in the guides are frequently used within Certificates I to III in Agriculture, Horticulture and Conservation and Land Management courses. The guides are developed collaboratively with Indigenous communities to ensure they align with Aboriginal teaching methods. Jasmine was a receptionist at the local doctor’s surgery in Daly River. She moved to Darwin to help her sister. Having always wanted to work on country, Jasmine saw the ads for the ALEP program and enrolled. Having built her confidence through undertaking the training, Jasmine is now working on her father’s country as the first female ranger at Fish River, previously a pastoral station that was purchased for conservation and now forms part of the National Strategic Reserve.